The demonstration planned by the opposition for March 16 is an attempt to overthrow the government, the authorities will not allow for the demonstration to take place, says Maldives Police Service. 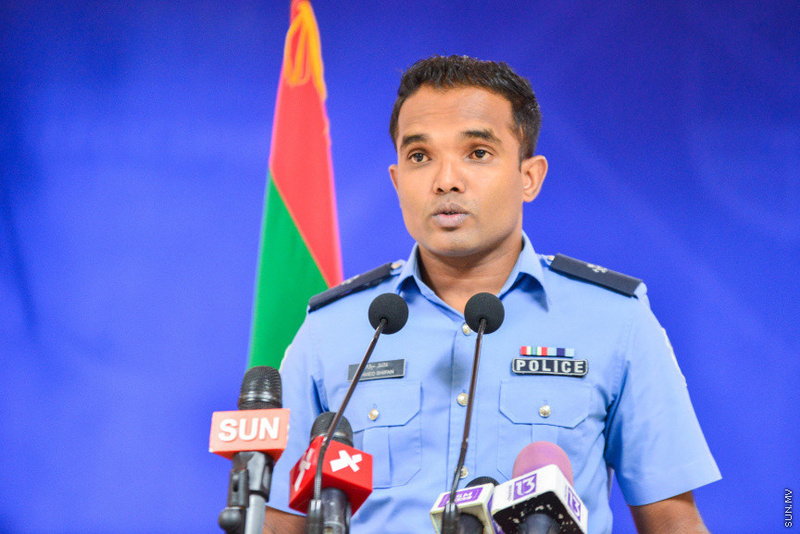 Speaking at a press conference this Wednesday afternoon, Police Spokesperson, Chief Superintendent of Police Ahmed Shifan said the MPS has received credible information of a plan to create unrest in Male’ City and stage a coup on March 16. “We have received information this demonstration is being planned for the purpose of encouraging unconstitutional and illegal acts, confronting security forces and creating unrest. I announce the security forces will not allow any such act to take place,” said Shifan. Shifan also said the authorities have received credible information influential figures within the community were forcing owners of fishing boats and boats used for other occupational purposes to transport people from the atolls to Male’ City to join the March 16 demonstration. He warned penalties if boats are used for purposes other than its registered use. Shifan said setting dates to stage coups and speech inciting confrontations with security forces is a crime. He said individuals who commit such acts will be investigated. “I inform you the police will not allow illegal gatherings on the streets, public disturbances, speech or action to immobilize the State or overthrow the government even on Friday, March 16th. I inform you we will stop it,” said Shifan.